I did, in fact, watch this twice. The second time I was sitting in the theater with my girlfriend, a non-fan / casual fan at the most. She laughed at the jokes and we both cried at the end, during the Christmas armistice scene and when Jodie Whittaker appeared. That any of this just-OK coda worked at all for people who haven’t been watching the Twelfth Doctor’s era was kind of a relief. Of course my girlfriend had no idea who Rusty was, and I for one would not have minded seeing him relegated to the same introduced-and-forgotten Dalek scrap heap as the so-called “Skittles” quintet from “Victory of the Daleks.” She did recognize the name “Lethbridge-Stewart,” but although she’s seen a few Hartnell episodes, I still had to explain that the First Doctor was not typically, as shown here, a routinely misogynistic creep. I’ve never been fond of the First Doctor in the first place, and David Bradley’s resemblance to him physically and vocally wasn’t much closer than Hurndall’s in “The Five Doctors” had been, but I have to admit that I started buying the performance by the time the opening credits were finished. I don’t know if the retcon sexism was a reaction to the criticisms Moffat used to get (“see! look how far we’ve come since the Sixties!”), some sort of lead-in to the regeneration, or what, but Capaldi’s reactions sold those moments to me just fine. In hindsight it shouldn’t have been surprising to see Moffat rolling out tropes he’s used before — the archive of the dead (from “Dark Water”), the last-minute-time-travel visits (from “Let’s Kill Hitler”), and of course the threat that’s not evil, just misunderstood (take your pick). By now I’ve lost track of what actually happens when you die in the Moffat universe, and I’m trying not to probe too deeply into the question of why the Testimony contains memories from past Doctors, since (a) regeneration isn’t death, and (b) this implies a 3D-rendered glass woman from a late-90s CDROM computer game came and visited each Doctor during his regeneration scene and extracted all his memories without anyone noticing. Even more mysterious to me is why it was necessary to use this device in order to bring back Bill, who is (and remembers being) a posthuman puddle-woman traveling the stars with her girlfriend, or indeed Clara, who is an undead person traveling the stars with her immortal pal “Me” in their own TARDIS. What is the point of the two of them having transcended finite human existence if you have to bring them back as anthropomorphic snow globes? The most important question of the story, though, might be: why didn’t the Twelfth Doctor want to regenerate? The implied answer is fatigue, specifically battle fatigue: he’s tired of losing the people he loves, of fighting the endless war on the evil that his first incarnation believes should logically win every time. I would have expected this feeling from the Doctors closer to the Time War. 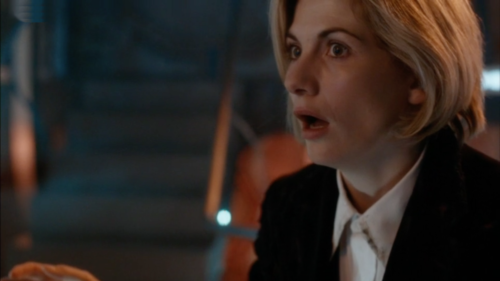 Then again, this is the first modern Doctor to have seen all of his companions die: first Danny Pink, then Clara, then River (spending her last night and my favorite Christmas special with him), and finally Nardole and Bill. 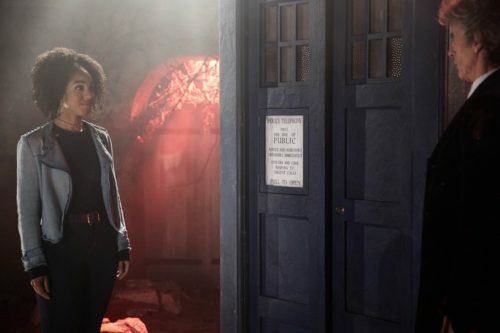 Even Missy dies on his watch, though he doesn’t know it (and we know she’ll be back in one body or another), and then there’s what happens to Osgood and the Brigadier in “Death in Heaven.” It’s been a surprisingly brutal few years when you add it up. My initial hypothesis was that he was ready to lay his burden down in “Time of the Doctor” and got a new regeneration cycle he didn’t really want, but maybe the loss of so many companions since then is a more concrete explanation for the death wish. It was excellent to see Bill again, as much as I lamented the missed opportunity to bring back Susan to help two versions of her grandfather through his regenerations (and why not bring back both?). Mark Gatiss turned in a lovely performance as the Captain, making a character I initially felt would be superfluous into one of the highlights of the story. I wasn’t so keen on the pre-regeneration valedictory — even as a child, the “children can hear my name” bit would have made me gag — but I was very keen on the post-regeneration line. Sometimes two words say more than an entire speech, especially when spoken by this particular new Doctor. I’m already a fan. Boundary-breaking regenerations. Mels to River, the Master to Missy, and the Time Lord in “Hell Bent” all paved the way for Jodie Whittaker, as well as the Doctor of color we will someday get, even if it takes until the show’s second revival. Continuity reset. I wasn’t initially thrilled about the “universal reboot” in “The Big Bang,” in part because I was no longer clear on how much of Season 5 actually happened, but in hindsight it theoretically allows for anything about the past, present, or future of the show to be different from what’s come before in small or large ways. For a show that’s been running this long, this is practically a necessity. The end of the Time War. The Doctor couldn’t carry that on his shoulders forever. Moffat wrapped up that chapter as well as anyone could have. Audacious storylines. Even when I haven’t loved the moves Moffat made, I have to give him credit for taking huge, bold risks with the show and the types of stories he wrote. I hope his successors show half his creativity. Worldwide popularity. 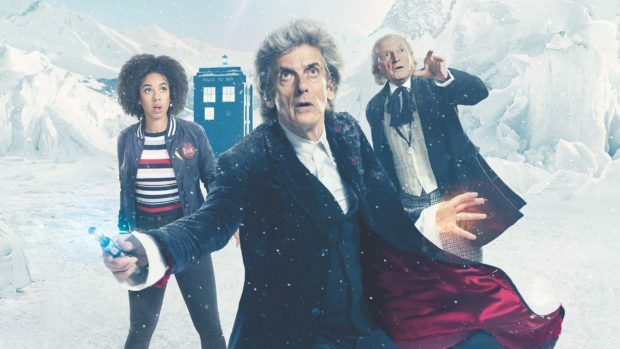 Even though I saw “The Five Doctors” in a theater as a child, I never would have expected to go to the movies in order to watch season premieres and Christmas specials. I loved the show as a cult phenomenon, but being able to walk into stores and see TARDIS merchandise everywhere does not bother me one bit. Quick, traumatic regenerations that don’t destroy the TARDIS. Regeneration feels like way more of an event if it’s not dragged out over two hours. And PLEASE let the next Doctor be smart enough to put the TARDIS into park and just redecorate without setting the whole control room on fire. Grownup companions who leave for good reasons. Way less hero worship of the Doctor. Fewer companions who have to die (or “die”) before they leave the TARDIS. Even just Martha’s “it’s time” is enough. Cheerful, optimistic Doctors. Even when I enjoy “dark Doctor” moments, I must admit they’re not as good as the alternative. Grouchy from time to time is fine. Cruel is not. A sense of adventure and exploration. It’s hard to seek out new life and new civilizations on Doctor Who’s budget, even in the 21st century. But it sure would be fun to see new places and new cultures, not just new monsters. Much less introspection from the Doctor about herself. In any other show it would be crucial to explore the main character and figure out what makes them tick, have them grow and learn about themselves, center and drive the drama from their character. But this is effectively an anthology show that’s run for more than 50 years and needs to sustain itself after that. The main character is, in many ways, us: our love of adventure, of leaping between genres, of looking for problems to set right, of trying to leave things better than we found them. There’s only so much this can change in a dramatic way without destroying the longevity of the show, and only so much it really needs to be interrogated. Humility. The First Doctor is spot on about how the speeches and the boasting are ridiculous. More wisdom, less bombast. Uncool should be cool again. The fezzes and bow ties worked because they were dorky things the Doctor thought were cool. The sunglasses and guitars didn’t because they were “cool” things the Doctor thought were cool. The Doctor is never more charming than when he or she is obsessed with something everyone in the world doesn’t already love.